This unique itinerary features an array of different sceneries and landscapes, as you take walk among the wild in some of Kenya's most pristine bush environments. 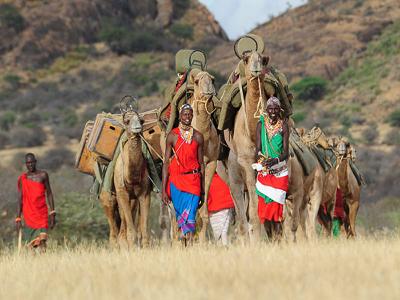 From Nairobi, your expedition takes off to the Karisia Base, where you will explore the region with your team of guides and camel porters. 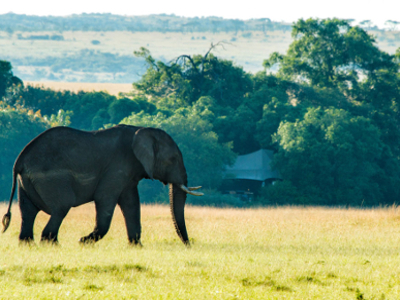 Continue deeper into the bush, to marvel at the wonders of the Masai Mara, side by side with your own Maasai guides. Sleeping beneath the stars and traveling on foot will give you the opportunity to cover parts of this magnificent wildlife environment in a once in a lifetime experience. This morning you will have an early breakfast and after checking out, you will be driven to northwards to Eastern Laikipia, an area north of Mt. Kenya known for its wilderness and wildlife. You will be met in Nanyuki by a Karisia driver guide and taken to the Karisia base, the start point of the walking safari. You will meet your team of guides and camel porters. Once the camels have been loaded up, your journey begins. The area boasts the highest diversity of large mammals in Kenya and is also home to several endangered species such as the Grevy's Zebra, Wilddog. As the night approaches, your camp will be set up in a convenient location and though you may be camping in the heart of the bush, you will lack for nothing with the piping hot showers available at the end of each day, the sumptuous three course dinners and the warm beds complete with hot water bottles. During the next two days, you will go for a morning walk and an evening walk. An early start may be arranged to take advantage of every opportunity at finding game and particularly some predators. You will cover a wide variety of scenery ranging from a rocky outcrop to rich green bush, where it is not uncommon to come across lions, hyenas, wild dogs and leopards. Along the way, learn a lot about the bush with your guides pointing out plants and their various medical uses, the different animal tracks and droppings you come across and the many species of birds you will see. Spend the afternoon relaxing, swimming and fishing by the river before taking an evening walk to a sundowner spot with wonderful views of Mount Kenya. Continue to camp which has been set up and will be waiting for your arrival. This morning you will be driven to the Nanyuki airstrip for a flight to the western edge of the Great Rift Valley, just north of the Tanzanian border, in the Loita hills. It is here that Maasai guides from Jan’s Camp will come for a meet and greet and transfer you to the camp in time for lunch. After lunch, you can relax or take a short walk in the surrounding area before dinner is served after which you will be briefed on the following days’ trail. Today after breakfast, the pack donkeys will be brought from nearby enkangs on your first day’s walk; the equipment will be weighed, measured and packed in preparation for your foot safari to Oltyiani, the highest point in the Loita overlooking the Rift Valley. Once all the provisions and camp equipment have been packed, the donkey caravan will set off into the forest to set up the next camp. Your guides, local Maasai from the Loita area, are eager to share their customs and culture, whilst teaching you the lore of the bush. They are reputed to be the most conservative of this tribe, dedicated to their traditions, ceremonies and rites of passage. Today you will walk to Ol Lasur Waterfall. Leave at 9:00am from camp and climb up to the edge of the Rift Valley, followed by a descent to the waterfall around noon. After a refreshing swim below the waterfall, climb back up to have lunch at about 2:00pm overlooking the Rift. Arrive back in camp at 5:00 pm, drinks and dinner by the river. Today you will be transferred to the airstrip for your Flight to Masai Mara. 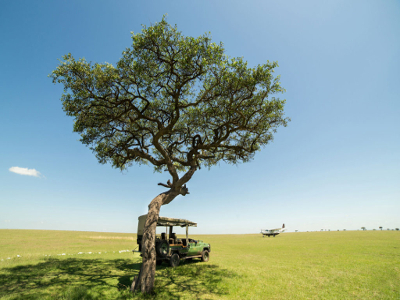 On arrival at the Mara airstrip, you will be transferred to the Sentinel Eco Camp in time for lunch. After Lunch there will be time for an afternoon siesta and an evening game drive, followed by a drink as you watch the Mara’s spectacular sunset, rounding off a fabulous day on safari. 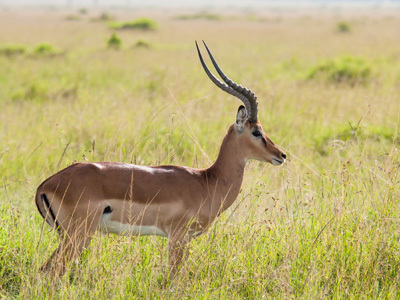 Spend two days exploring The Masai Mara with its large diversity of beautiful scenery, including its meandering rivers, towering escarpments and rolling grasslands that provide the perfect habitat for the abundance of game, including the Big Five – lion, leopard, buffalo, elephant and black rhino. In the morning, there is the opportunity to rise early and experience a game viewing adventure from an entirely different perspective! 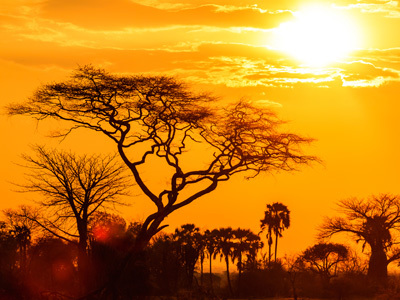 A hot air balloon safari across the Masai Mara (at additional cost) which takes off in the crisp morning air, and lasts for approximately an hour, allows for a beautifully peaceful experience floating silently high above plains, forests and rivers. Keep your eyes peeled as you hunt for the last members on your “must see” list. 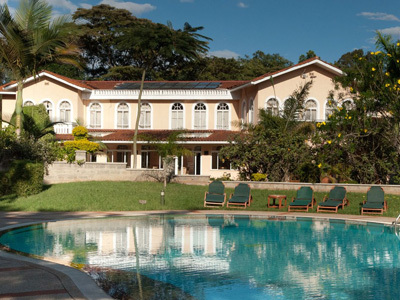 After breakfast and check out, you will be driven to the nearest airstrip to catch your scheduled flight to Nairobi. You will find an Albatros representative and a driver waiting for you at the Wilson airport, ready for your transfer to Jomo Kenyatta International Airport (JKIA) for your outbound travel. Situated at the eastern periphery of a wide plain, Tumaren looks westward toward a series of granitic kopjes that define eastern Laikipia. 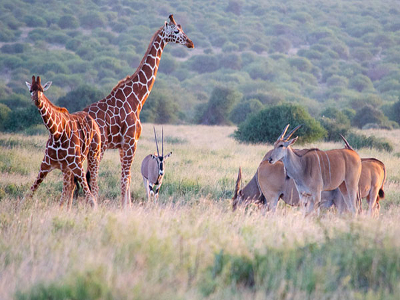 In the foreground, you might expect to see Giraffe or other plains game that seek the safety of the open grassland. Tumaren was originally the family home of Kerry and Jamie and it has always been a spectacular base to explore from. 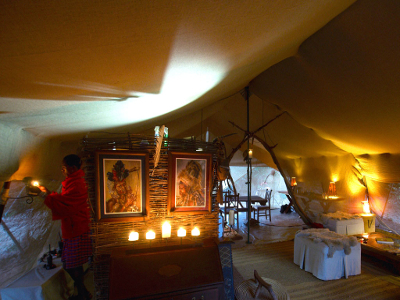 The tents are large and spacious and furnished with the kind of comforts that can't accompany a mobile walking safari. Jan’s camp is the base for all our walking trips in the Loita area. The camp is set on a ridge facing the East and looking over the rolling hills of the Loita Naimina Enkyio forest, the forest of the lost child. It has two different types of accommodation that each complement and enhances their surroundings. 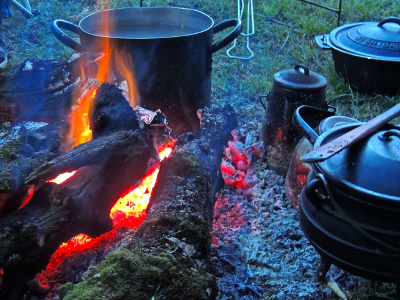 Since both the trail huts and the tents have their own kitchens and dining areas, we can also offer a self-catering rate for our clients, including the use of chef and camp staff. 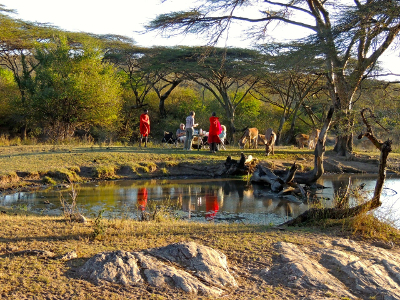 This Maasai Trails camp is located a day's hike from the Jan's Camp in the Loita Naimina Enkyio Forest. 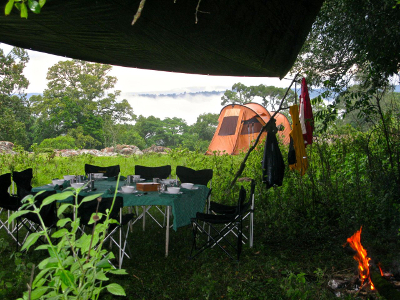 The camp is situated on top of the Oltiani giving way to breaktaking views of the Ngorongoro Mountains in the distance. Having spent the last 10 years leading walks through the forest, the camp takes great pride in setting up light but comfortable camps in some of the remotest parts of the Loita forest. The camping party will clear the ground. A small thorn kraal (enclosed area) is made for the donkeys and fires are lit, tents set up and the kitchen prepared for your arrival.